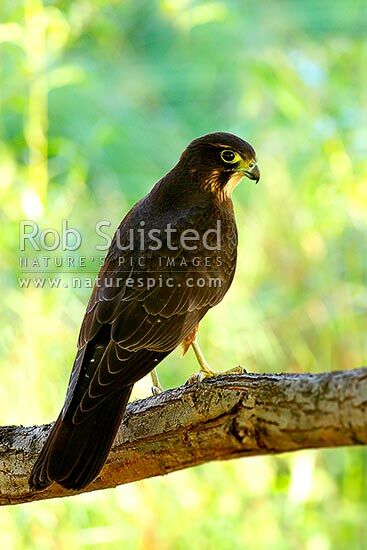 New Zealand Falcon (Falco novaeseelandiae; Falconidae) perching in tree. Native bird, Karearea. South Island, New Zealand (NZ), stock photo.